Maycast-Nokes Precision Engineering Ltd is a leading manufacturer of high-quality castings. The Halstead based foundry is the UK’s most comprehensive aerospace casting facility, offering fully finished precision sand, investment lost wax and gravity die castings in aluminium and steel. The company was established in the 1950’s as a tied-foundry producing shell moulded aluminium castings exclusively for Evans Electroselenium, manufacturers of laboratory and scientific equipment. During the 1980’s current owner and chairman Colin Richer expanded the foundry’s expertise to include a CNC machine shop. In 1993 Maycast Precision Products, a manufacturer of investment/lost wax aluminium castings (based in Hitchin) was purchased and Maycast-Nokes Precision Engineering Ltd was formed. 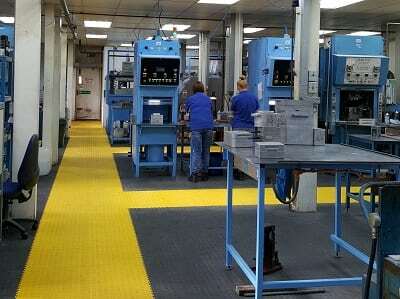 The addition of an investment foundry provided more opportunities for aerospace work and further expansion of its machine shop and specialist post-build processes such as heat treatment and non-destructive testing has resulted in Maycast-Nokes becoming one the UK’s most comprehensive suppliers of castings. Today, Maycast-Nokes is Halstead’s single largest employer and almost unrecognisable from its ‘jobbing foundry’ past; an aerospace engineering company supplying intricate, machined components used in some of the world’s most technically advanced aircraft and hypercars. 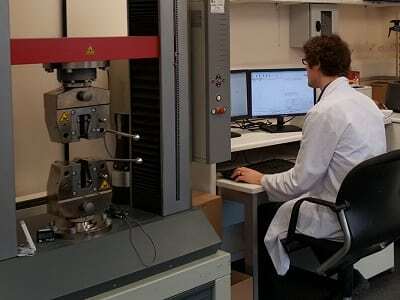 In addition to its foundry and machining services the company’s National Aerospace and Defense Contractors Accreditation Program (NADCAP) approved x-ray and metallurgy departments are certified to write and sanction bespoke process techniques for companies wishing to test the integrity of their components. Renowned for supplying castings with a high level of accuracy, integrity and reliability, Maycast-Nokes’ growth predictions are not only strong but also stable and the company is working on a number of projects with 20-30 year projected life spans. The company currently exports over 40% of its turnover and increased interest from overseas aerospace and defence contractors has enabled Maycast-Nokes to invest more than £300, 000 in state-of-the art machining centres which will broaden the firm’s engineering capabilities and increase production capacity. The company’s commitment to British engineering, which is backed up by its apprenticeship scheme, has been recognised in the East of England regional finals of the National Apprenticeship Awards 2017. The companies apprenticeship scheme, that has led to 10% of the workforce combining study with hands-on experience, won the National Apprenticeship Award for Medium Employer of the Year (East of England). Foundry work is inherently complex and challenging. It takes years of experience and dedication to hone the skills necessary to produce quality castings. 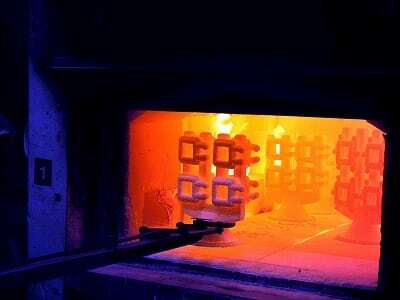 Aerospace grade castings are even more technically demanding. Faced with an ageing workforce and a shortage of locally available skills, the board of directors decided to formulate and fund their own apprenticeship programme. Since its inception in 2003, 31 students have successfully completed their studies and have moved on to engineering roles within the company. Maycast-Nokes is collaborating with Colchester Institute and Harlow College to create foundry related syllabuses that encourage students to challenge their perceived limits. Students spend time working in our manufacturing departments, gaining an understanding of how castings are poured, machined, treated and inspected. Maycast-Nokes was recently named in the prestigious Centrica Top 100 Apprenticeship Employer list joining blue chip companies Mercedes Benz, BAE Systems, Virgin Media and IBM in being recognised as one of the best employers in the UK for apprenticeships and skills development. As a part of their future growth plans the company is looking for opportunities to become a ‘Centre of Excellence’ that academia in London/SE/East Anglia could use to develop new technologies, not only in the aerospace sector but other markets including med-tech and sustainability. INVEST Essex works closely with Maycast-Nokes assisting them to find collaborative manufacturing partners and offering them ongoing business support. See here for more information on INVEST Essex.